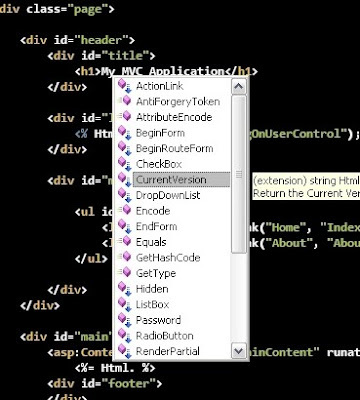 Once you've added the above Html helper class you'll be able to reference the CurrentVersion() Method using intellisense. That's it. You can now reference the version from anywhere in any of your views. 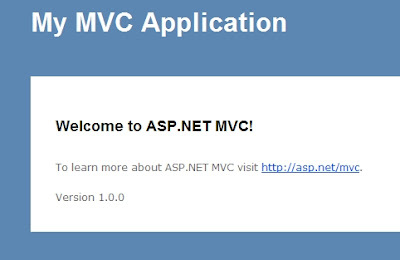 Here is what it looks like on the default MVC project. Also if you want the code, you can download it from here. Made a slight modification to your code by putting it into the constructor of a Lazy object, like so. /// Returns the Current Version from the AssemblyInfo.cs file. This guarantees that the code only runs once per and not every time a page is rendered. It's a small optimization, but I figured there is no reason to calculate the same value repeatedly. Excellent post.I would like to learn more about this topic.Keep sharing.